Probationers in the great state of Arizona can't be denied their right to toke up -- for medical reasons! -- according to the state's Supreme Court. Nor can the state condition plea agreements on one's abstention from medical marijuana. In two cases decided on Tuesday, the court recognized the "broad grant of immunity" created when the Arizona Medical Marijuana Act was passed by public referendum five years ago. AMMA prohibits penalizing qualified medical use or possession in any way. That includes forbidding its use in probation and plea agreements, the court held. The cases involved two card carrying medical marijuana users, Keenan Reed-Kaliher and Jennifer Ferrell. As part of his probation following a drug conviction, Reed-Kaliher agreed to obey "all laws" and was later prohibited from using weed "for any reason." Ferrell, on the other hand, had been arrested for a DUI and accepted a plea agreement which included a boiler plate marijuana prohibition. After the plea was accepted by the court, Ferrell moved to have the provision struck, while the state attempted to revoke the plea altogether. In the twin opinions, the court emphasized AMMA's broad grant of immunity, which prohibits penalizing use in any manner or denying any right. The act carves out small exceptions. Violent felons and drug offenders cannot operate dispensaries, for example. But they are not prohibited from qualifying for medical marijuana use. Following that logic, the court found that probationers too were not excluded, even if they were on probation for drug-related crimes. Similarly, the Arizona Supreme Court found that plea deals prohibiting medical marijuana violated AMMA. That didn't matter, the state argued, since a defendant can waive statutory rights in a plea agreement. Of course, there's an exception to the exception -- those rights can't be waived when doing so would violate public policy. And what's the public policy regarding medical marijuana in Arizona? The court found that with the passage of AMMA, the state adopted a public policy that qualified medical marijuana patients can't be penalized for their use. Nor can the state revoke a plea deal solely because a medical marijuana provision had been stricken by the courts -- though it could revoke Ferrell's for other reasons. What About Those Pesky Federal Laws? But what about probation agreements that require probationers to follow "all laws." Doesn't that include federal laws, which still treat medical marijuana use as illegal? Nah, man. 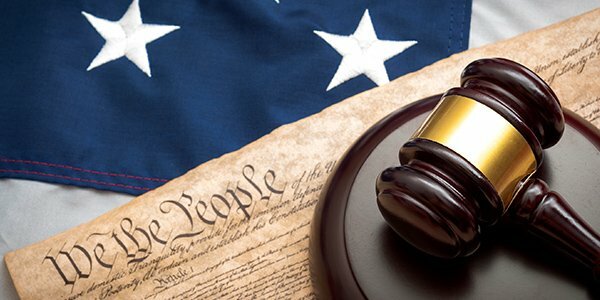 The federal law does not preempt AMMA, since federal authorities may still enforce it, creating a dual system of laws, not a conflict between federal and state law. Since state law forbids punishing medical marijuana use, state courts cannot enforce federal marijuana laws through plea deals -- the "all laws" provision falls before AMMA. The Yavapai County Attorney is considering appealing Ferrell's case to the Supreme Court.